“BUSY BODIES is not only about the children learning through play, but the adults as well”, says co-owner Ardelle Kanode. Each class offers an enormous amount of information as to the benefits of the many songs and room full of equipment. The ever-changing themes challenge not only gross motor skills, but eye-hand coordination, peripheral vision and spatial awareness. “Your child may think they’re just tossing a beanbag, but we know they are developing eye-hand coordination, depth perception and motor skills,” adds co-owner Robin Dieman. A variety of weekly classes are currently open for enrollment, along with a summer camp program that runs Tuesday through Friday from 2-5 p.m. especially designed for children 3.5 to 5 years of age. 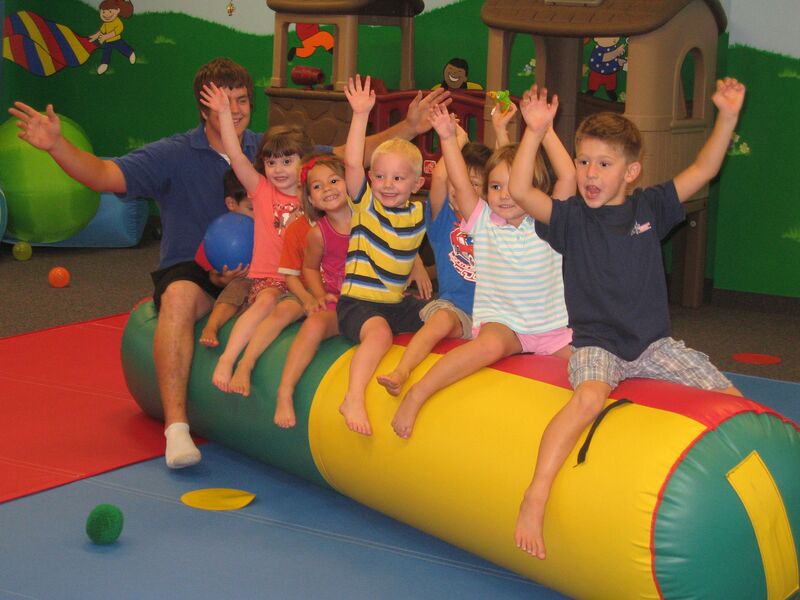 Birthday parties are a popular option for parents looking for a one-of-a kind interactive birthday experience. This entry was posted in blog and tagged activities, AZ, baby, birthday party, BUSY BODIES, development, education, glendale, gym, kids, play, summer, summer camp, toddler. Bookmark the permalink. One Response to "GLENDALE BUSINESS MAKES LEARNING CHILD’S PLAY"
The camp that was voted “Best Summer Camp of 2009” is back! AZR offers a fun camp in an inviting environment, run by qualified, energetic staff-where else can they Defy Gravity? AZR offers 3 different camp options, so there is something for everyone. ALL NEW! MINI-CAMP: AZR has created a camp with the pre-school aged child in mind. All activities are focused on how pre-schoolers learn. Mini-campers will spend their days climbing, playing movement and body awareness games, participating in arts and crafts, yoga with Zenergy Yoga, and working with Oxford Learning. AZR Mini-Camp is for children ages 4 and 5 only. About AZ On the Rocks:AZ on the Rocks in Scottsdale, AZ is Arizona’s largest indoor climbing gym.For more information, visit AZ on the Rocks http://www.azontherocks.com or call (480) 502-9777.